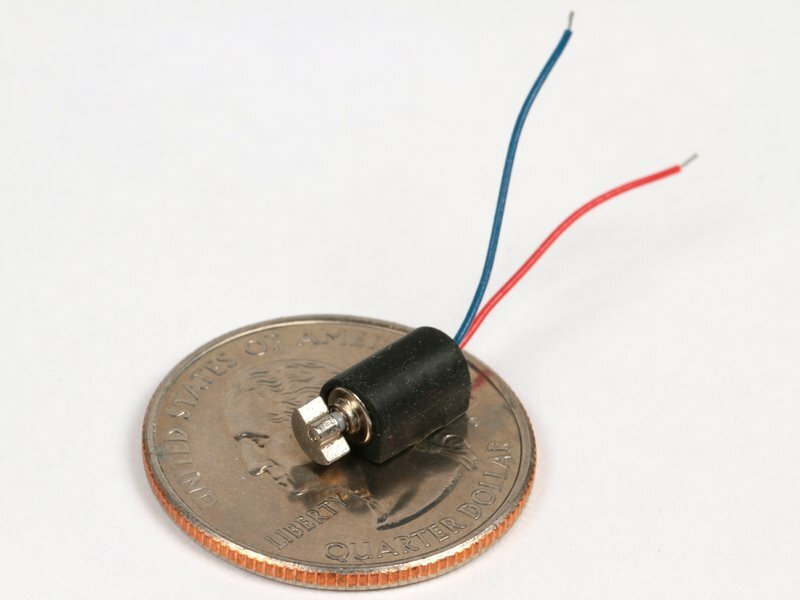 These tiny and feisty motors have offset weights that make them vibrate when they spin. 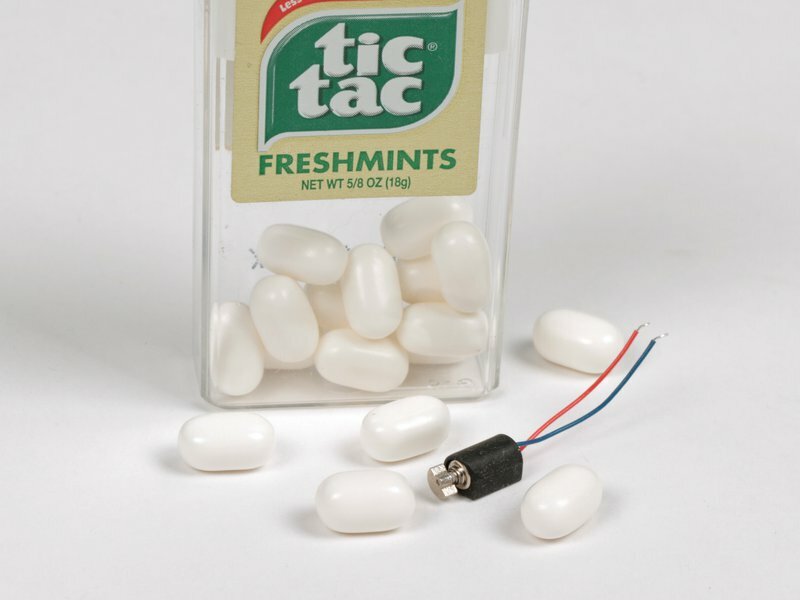 They're normally called "pager motors" because they're the type found in pagers and cell phones that have a "vibrate" feature. What to do with them? 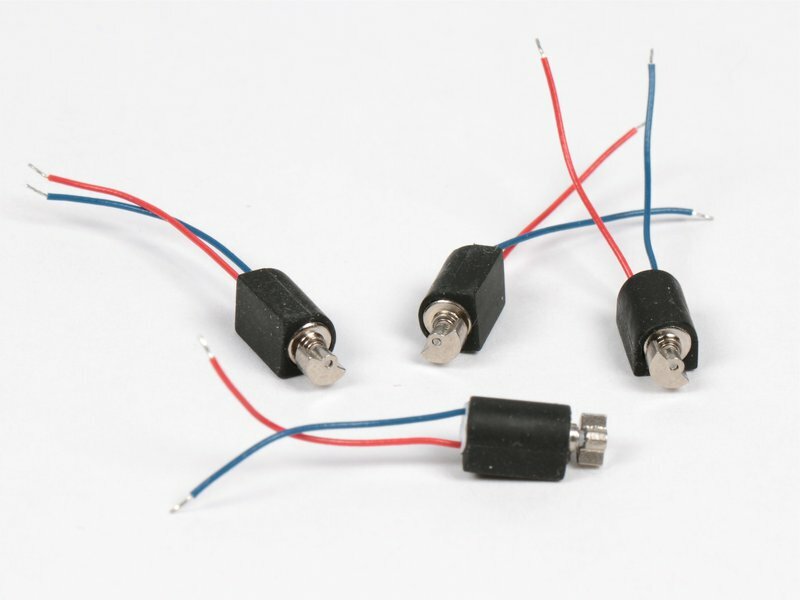 Well for starters, they're the perfect thing for making Bristlebots, vibrobots, BEAM bots, and other tiny robots! They have wire leads attached that are color coded and pre-stripped on the ends. 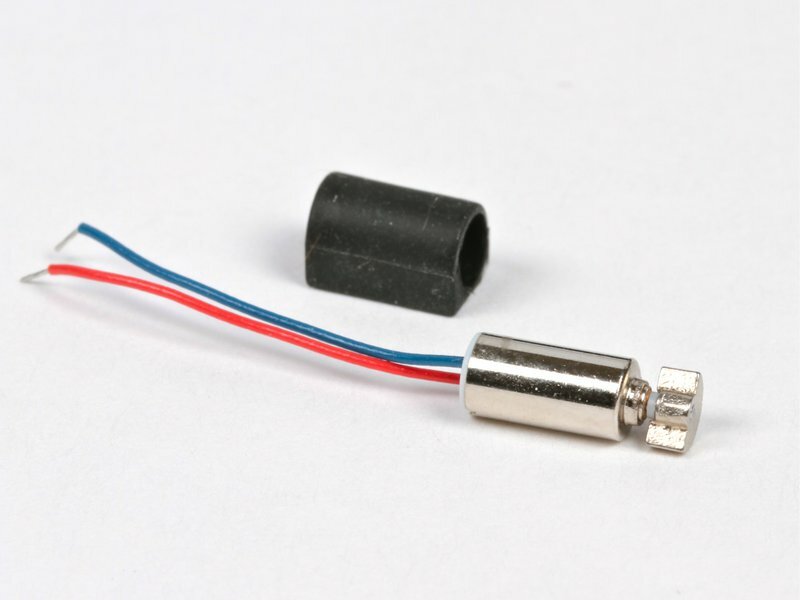 These motors can be driven with 3 V coin cells like the CR2032. Each one comes in a removable rubber boot that has one flat side for easy mounting.